Remember that smooth brow you had when you were younger? For many people, age, stress and sun exposure can leave behind deep wrinkles and folds in the forehead as well as a drooping brow, giving you an angry, sad or tired look. These wrinkles and folds are often referred to as “frown lines.” A forehead lift at our Orange County practice is intended to soften these wrinkles, raise the eyebrows and minimize frown lines, bringing back a more youthful and rested appearance with cosmetic surgery. At CosmetiCare, our plastic surgery specialists understand that achieving the look you want can help you live the life you want. Learn more when you request a consultation with one of our surgeons. With a forehead lift, the muscles and tissues that cause droopy brows and forehead lines are weakened to create a smoother look. For your procedure, the surgeon may use the conventional surgical technique, in which the incision is hidden across the top of the head, just behind the hairline; or the Endoscopic method, which involves the use of an endoscope, a special viewing instrument that enables the surgeon to view images of the internal areas of the forehead through three or more short incisions. Either method will give you good results, but the conventional method may yield longer lasting results. At our facilities in Orange County, a brow lift is performed under general anesthesia and can be safely combined with other procedures such as facelift, mid-facelift, neck lift, or eyelid surgery for overall improvement of facial features. Forehead lifts in Orange County are more commonly performed people between the ages of 40 to 60 but can help younger patients as well who have developed furrows or frown lines due to stress or sun exposure. It is a good choice for people looking to minimize the visible effects of aging by improving a droopy or low position of the brow. Brow lift also can help people wanting to permanently eliminate deep horizontal creases across their forehead. In the first days following surgery patients can expect to experience some swelling, bruising, and discomfort that can be controlled with medication. Its important to realize that the amount of time it takes for recovery can vary greatly with each patient. After one or two days, dressings used to wrap the head and drain tubes will be removed. You will experience some temporary numbness and itching as the nerves heal. Sutures or staples used are usually removed within five days. Swelling and bruising will almost completely be resolved within two weeks. Makeup may be used to conceal any temporary discoloration of the skin. Patients can expect to return to work within two weeks. Strenuous activity should be avoided for the first four to six weeks and you should temporarily avoid exposure to direct sunlight. The results of your surgery are permanent. After recovery from forehead lift, friends and family that see you will simply think you look refreshed, well rested and more alert. 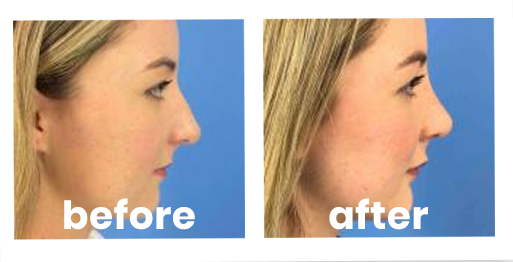 This procedure will not dramatically change how you look, but will help you appear more youthful and invigorated. Request a consultation online or give us a call to learn more of to schedule your forehead or brow lift in Orange County. With convenient locations in Long Beach and Newport Beach, CosmetiCare makes it easy to look your best in Southern California.